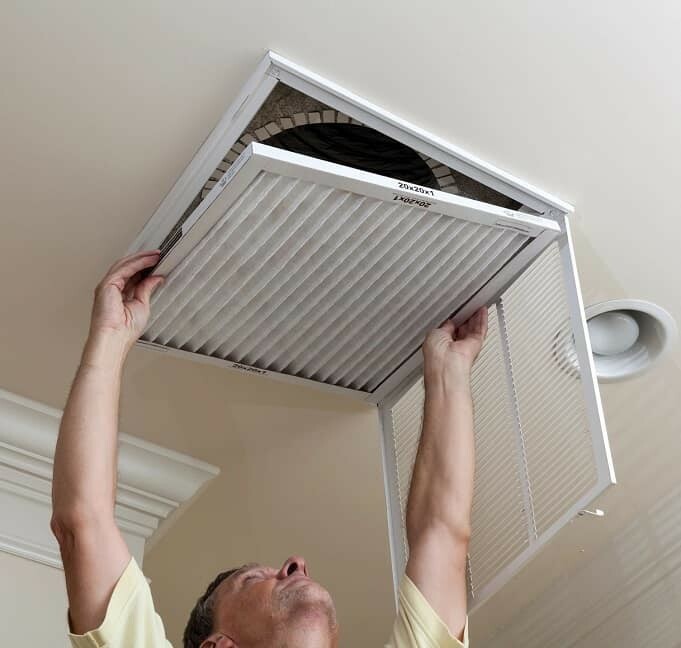 Be sure to change or clean your air filter about once a month, and always use the proper size for your system. It is also important to keep your outside unit clear of debris to avoid blocking the airflow. As your home ages, it may be necessary to upgrade insulation. By doing so, this may help to reduce cooling costs and make your home more comfortable. Cooling your home at 78º or warmer with the fan switch on “auto” can provide the best balance between comfort and savings. For extra savings, raise the thermostat to 80º when you’re not home. Sealing small cracks and crevices (less than ¼ inch wide) between a window or door frame and the molding can save 10% or more on your cooling bills and reduce your carbon emissions by hundreds of pounds a year. To help circulate the air in your home keep interior doors and vents open. A simple plastic, self-adhesive door sweep blocks hot air from entering the home via the space between the door and the threshold and improves cooling efficiency. If your system is older, it may be time to purchase a new unit. 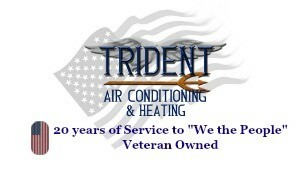 For maximum operating efficiency and energy savings, ask Trident Air Conditioning and Heating about options best-suited for your needs. If you notice any of the above symptoms, contact Trident Air Conditioning and Heating to have your system checked and serviced.